Feel like the weight of the galaxy is on your shoulders? Thinking about joining the dark side? 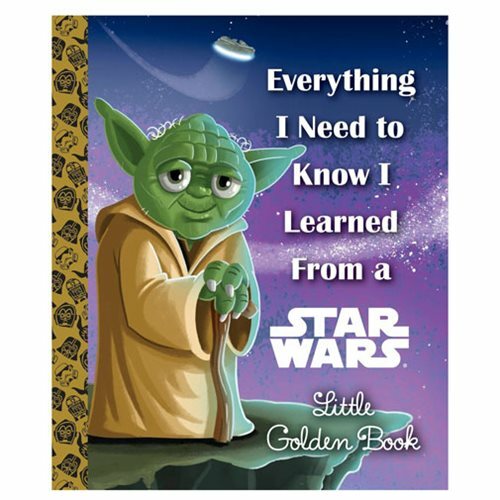 To restore your inner peace with the Force, look no further than the timeless Star Wars Everything I Need to Know I Learned From a Star Wars Little Golden Book Hardcover Book! This inspirational collection features illustrations of epic scenes from the entire Star Wars saga. It's the perfect gift for Star Wars and Little Golden Book fans of all ages. The 96 page book measures about 8 3/10-inches tall x 6 9/10-inches wide. Ages 3 and up.